Happy June 1!!! Can you believe the year is already half over???? Where does the time go??? WAY TOO FAST!!! But I love the summer...heat, humidity, ALL of it!!! 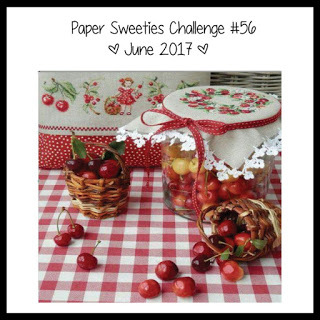 And I love this month's PAPER SWEETIES Inspiration Challenge! Doesn't our Inspiration Board just SCREAM summertime!!!! I had lots of fun creating this card. I used lots of different Paper Sweetie stamps and Sweet Cuts. As you can see, I was inspired by the red gingham check and the cherries! Our challenge is ANYTHING GOES! I hope I have inspired you to join us this month! You could win a gift card to the Paper Sweeties Shoppe and/or be a Guest Designer! Love the pops of yellow you added to this adorable birthday card!!!!!! Loveeeeeeeeee this! LOVING the yellow!!!!!!!!!!!!!! Gorgeous birthday card!! 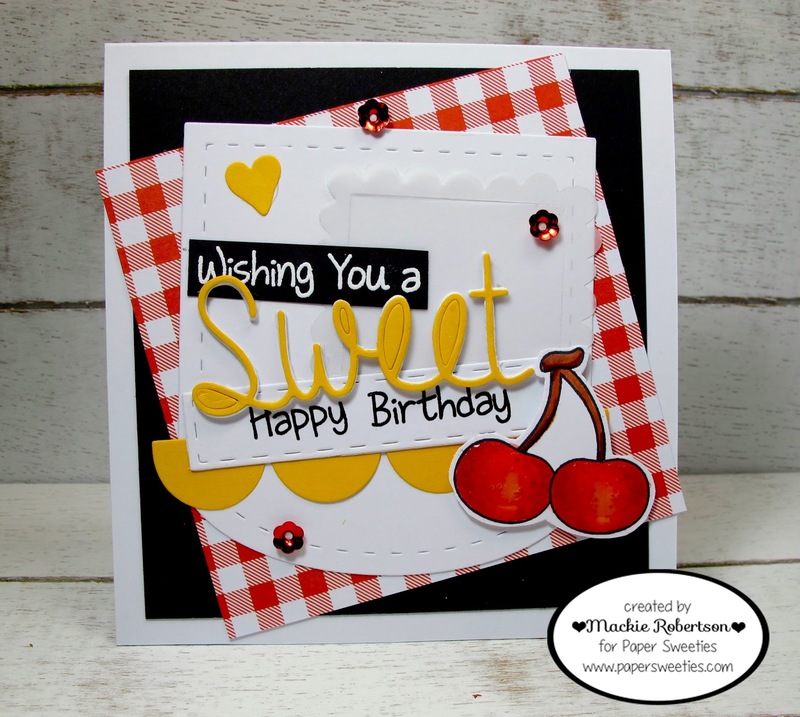 Love the gingham, sweet cherries, and pop of yellow!! Wonderful design, too!! I love those big, sweet cherries, Mackie! Really cute card! Love the bright yellow and the way you laid out the paper, awesomeness! Yes I do love the inspiration photo and I love your sweet card too!! I like that you brought the yellow from the cherries into your design! Your card is so SWEET! LOVE all the layers and gingham and the cherries! I love your great summer card!